Thanks for the recommendation! Going to watch this with the family tonight. Looks like it'll be right up our alley. 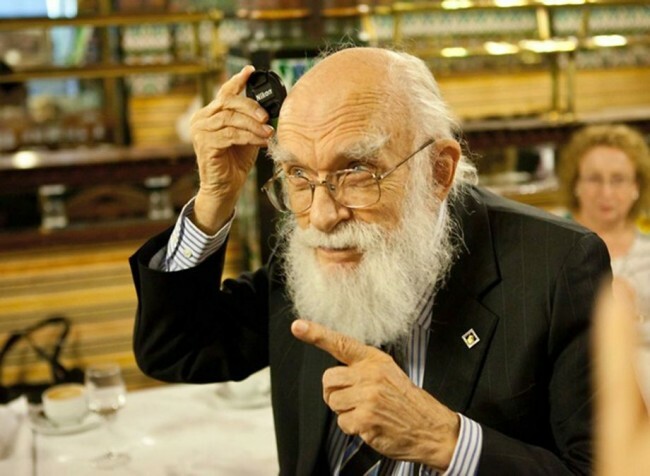 I have long loved James Randi and the work that he does. I only wish that more people knew about him and listened to him. I didn't know they made a movie about him and will definitely look for this. Thank you! We watched this recently too! When I was an undergrad getting my Bachelor's in Psychology, one of my professors absolutely loved showing us videos of Randi doing his "debunking" work. It was so fun to watch this documentary and see how much he really did - I really wasn't aware of his past as "The Amazing Randi." Definitely a great documentary to watch. I got to sit and chat with Mr. Randi when he was at DragonCon a few years back - he was, indeed, Amazing. When I watched this a couple of weeks ago I was sort of shocked when I figured out that he was dealing with the personal issues with his partner at that very time (his handler mentioned he was having a tremendous amount of stress at home). He was engaging, encouraging, and it was a pleasure to talk with a long-time hero (for hours!). Thanks for the hat-tip on this one - I hope it will reach the wider audience it deserves. He's going to be at Dragon Con this year! Only panel I'm set on is whatever he does. I was lucky enough to go to an event last year - an advanced screening of this film followed by Mr. Randi himself coming on stage and being interviewed. It was a fantastic night. He's witty, clever and the stories he told were all so interesting. I really enjoyed the movie too, although I was familiar with a lot of the investigations he did, I didn't know anything about his personal life. I found this on Netflix the same way you did. I remembered seeing some of the footage from The Amazing Randi's fake surgery debunking from high school. I like that while he seemed to not be a believer of any religious system, he had compassion for the faith of others and he didn't like anyone taking advantage of misplaced faith. Charlatans and con men are far too common and only hurt those that come to them for help. He seemed a very sweet intellectual that would resort to trickery to show people the truth. Truth hurts but not as much as a lie. I found the show quite engaging. This popped up on my Netflix recommendations and I watched it as soon as I saw this post. LOVED IT. I totally love Randi and would like to put him in my pocket and keep him safe. I'll admit I cried a little at the end. I listen to Penn's Sunday School when I jog and he frequently mentions and/or has the Amazing Randi be a guest. I'm going to watch the movie asap! I'm a high school science teacher and still use the Secrets of the Psychics tape I purchased way-back-when to stimulate a discussion of science vs. pseudoscience, the importance of critical reading skills, experimental methodology, etc. at the beginning of the year. We refer back to the film whenever we come across misconceptions and ersatz "scientific discoveries." I also recall that a small donation to James Randi's foundation brought us up on stage during a Penn and Teller show to see Penn smushed in a barrel. I had a nice chat with Teller (yes, he does talk!) about James Randi. Yet another reason to love Penn and Teller. Loved this! I remember seeing him on TV when I was a kid. It was Amazing! Thank you so much for the recommendation! I watched it Friday night- I am so surprised I had never heard of him before! (Sorry if this posted twice but I'm not sure if it went through).